Happy New Year to you all. 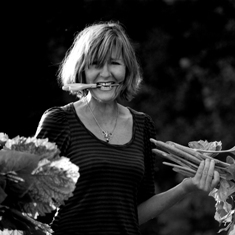 I am Penny Hemming and will be writing a regular blog for Riverford, aiming to bridge the gap between Riverford’s experience from years of growing commercially and customers growing veg and flowers at home. The first week of the new year we had absolutely foul weather here in Devon (and countrywide I think); raining cats and dogs with high winds to boot. Gardening is the last thing one would be doing in such a deluge (spare a thought for the teams out pulling leeks in the fields), but it’s a great time for garden planning. Any keen horticulturist will be pouring over seed and plant catalogues, getting excited at the prospect of how they can improve their gardens , thinking back on past failures and maybe contemplating some different crops for the coming year. Last year was a difficult year for all of us with a severe lack of rain (would you believe it today?) and exceptionally cold temperatures too. We’re hoping for better conditions in 2012. Two years ago Riverford introduced the boxes-to-grow for our customers to try. These are gardening kits for both beginners and established gardeners. The boxes come with organic seedlings grown in peat blocks (very high quality, from Delfland, who grow Riverford’s seedlings), some packets of seeds and comprehensive instructions and advice on how best to prepare the ground and grow them on successfully. Customers report having a lot of fun with these in the past, and we hope to tempt more of you to try them this year. In my blog I will be suggesting what you should be doing to get the best out of your gardening, whether this is a full scale allotment, or just a grow bag or a window box. I’ll be here to answer your questions and queries and to improve the range of products we can provide for our gardening customers (I look forward to your suggestions). I will also be running tours at Riverford for customers coming to see firsthand what we grow here and how we do it, usually followed by a fantastic seasonal meal in our award winning restaurant, the Riverford Field Kitchen. Have a look at what we are offering this year in our boxes- to-grow. Think about your garden and outside spaces and how you could maximize what you produce from it. You can grow an enormous amount in pots and planters so even if you only have a patio or a window sill the possibilities are endless. How much space and time do you have? Do you want to concentrate on veg, herbs, salad, or cut flowers? If you have limited space, a herb garden is a fantastic way to boost your veg box, being able to go out and pick some thyme or coriander for that risotto. Home-grown cut flower around the house give me a constant boost in summer, and also make a more impressive present than a bottle of wine! Next post, I will be making suggestions of the different types of containers that can be used to grow in, other than the ground (if you have limited space), how to prepare and what kit you may need, to be ready for the arrival of your box to grow. This entry was posted in Penny's gardening blog and tagged boxes to grow, gardening, gardening tips, penny hemming, planning. Bookmark the permalink. organic /biodynamic farmers and food producers – Let 2012 be the year where we see customers being given toxic food from supermarkets !! For a number of years, I have grown an array of herbs (Bay Tree, Sage, Thyme, Mint, Rosemary, Tarragon etc.) in containers. As they’ve got older (lost much of their flavor) I’ve planted the Rosemary Sage and Thyme plants out in our small garden, where they provide lovely foilage / aromas. However, now I am considering replacing my herb pots by the kichen (i.e. used for cullinary purposes). When would be the best time to plant new herbs and what varieties do you suggest. Very exciting to see the Fabulous Penny blogging. Congrats on this! Look forward to the next post. Isn’t the use of peat banned under soil association guidelines? 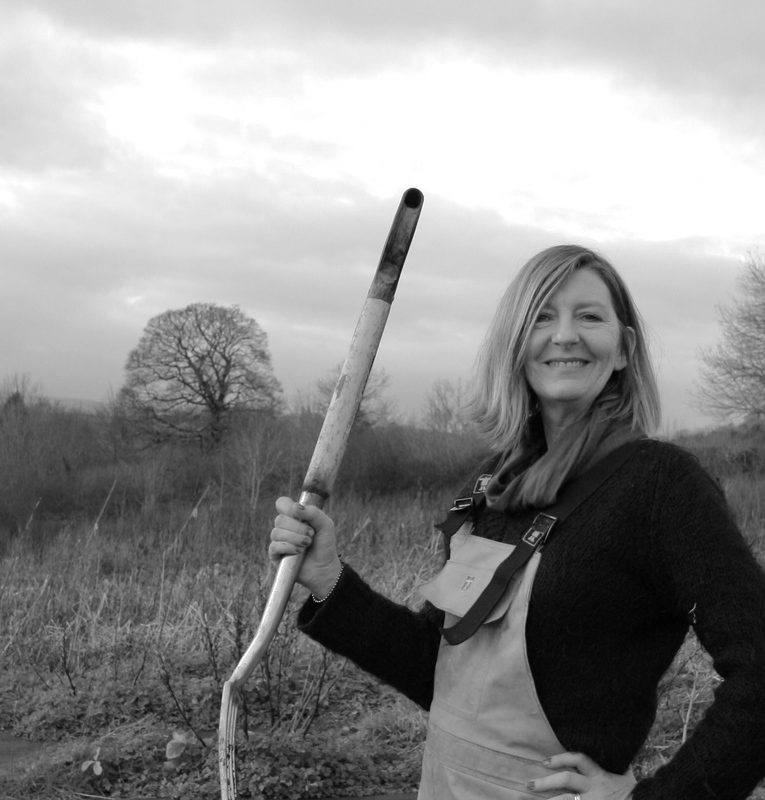 I am looking forward to reading your posts as I am an enthusiastic organic fruit, veg and herb grower in my back garden – and a happy customer of the farm co-operative. However, I must say (and I don’t usually, so this touched a nerve) that my heart sank when you referred to the plants in “peat” blocks. This may just be a figure of speech but I expect quite a few of your gardening readers would have cringed at this point. Deeply saddened too and very disappointed. For the reasons, in case explanation is necessary, please refer to Garden Organic and the current Say No to Peat campaign. We really enjoy our veg boxes, but I am also interested in the boxes to grow that you mention. It is that time of year when I am ready to start growing seedlings in the kitchen windows, and I would much prefer to buy from you than from the garden centre. Can you send more details? I will also look forward to following your blog and getting some growing tips! Have spent the weekend staring at my patch and wondering what to plant this year and trying to remember what I should be doing to prepare now, so great to have you. Will look forward to your posts. Are the boxes to grow really grown in peat? Very surprising if so. Please ask your suppliers to use an alternative for the sake of what’s left of the peat bogs and the wildlife they support! A few years ago we bought some buckets from B&Q for 50p each. We have grown some wonderful tomato plants in them, all outdoors. We only have a very small garden. This year I grew Money Maker and we had quite a heavy crop. The only thing is I should have started a bit earlier then perhaps they would all have ripened. The seedlings were started and potted on in our very small and otherwise fairly useless conservatory. I also raised some flower seedlings in the conservatory for the flower borders. Like any green house I had to make sure it didn’t overheat. A bit of a challenge as it faces South. A few or you have asked about our use of peat in the boxes to grow. This is a complicated topic with a multitude of white papers and projects dedicated to the subject. We would love to move away from peat but the reality is that it’s the only reliable medium which you can use as blocks in commercial planting. This is because the compost needs to be sterile, low in nutrients and uniform in structure to give seeds the optimum chance of success. Research is going on into useful alternatives, for example coir (the hairy outer part of coconut husks). Some growers are using coir or green waste based products with success. However, coir is not perfect as it has to be bought from coconut growing regions, is not very sustainable and exports scarce organic matter from coconut farmers. Green waste is very expensive, does not protect the plant roots and is unsuitable for machine planting. The Soil Association recognises this and allow the use of peat in propagation but not as a soil conditioner or for livestock bedding. Hello Nikki, maybe you only have male cucumbers – they need to be polinated to produce fruit – (a bit like certain varieties of plums and pears which have to have a mate planted near them in order to produce fruit – or maybe your local bees do not like cucumbers! I have tried to grow cucumbers in the past and gave up in the end…the ones I did manage to produce were so bitter they were inedible. Thank you for today’s tour. It was a wonderful experience.